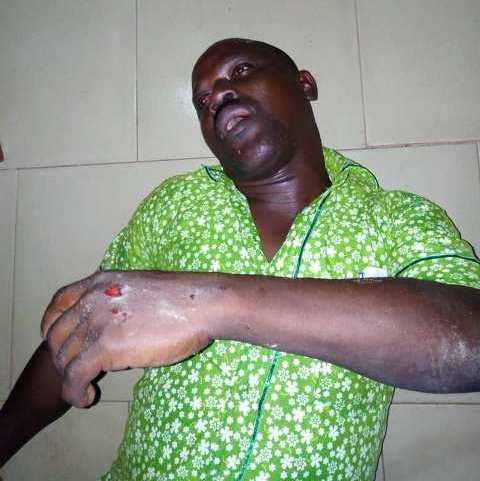 It is alleged that founder of All People’s Congress, Hassan Ayariga on Monday ordered ‘his men’ to attacked a Senior Reporter with the Ghana News Agency (GNA) at Bawku in the Upper East Region. Mr Jerry Azanduna, was lured by the group, who claimed they were going to hold a press conference to be addressed by Mr Ayariga, and he (Azanduna) obliged to cover the event. The men numbering about five drove their car and the reporter to Mr Ayariga’s house instead of the scheduled venue, where Mr Ayariga allegedly ordered the men to subject him to severe beating after questioning him over a story he wrote about Ayariga. According to Mr Azanduna, he was severely beaten in the presence of an armed policeman, who stood by helpless, living him to suffer bruises all over his body including injuries to both eyes. But for the timely intervention of some security personnel who were tipped off, the reporter’s ordeal and fate could have been terrible. Mr Ayariga’s alleged reaction was due to a publication by the GNA last week that Mr Ayariga was allegedly attacked and slapped by a tie and dye designer. The publication did not go down well with Mr Ayariga, who called the management of the Agency in the region to protest against the report. The GNA management offered him (Ayariga) an opportunity to write a rejoinder but he declined. Mr Azanduna has reported the matter to the Bawku police and has since been given a police medical form to seek medical attention. He is currently at the Bawku Presbyterian Hospital receiving treatment. When the GNA contacted Mr Ayariga for his side of the story, he did not confirm or deny his involvement in the attack on the journalist.